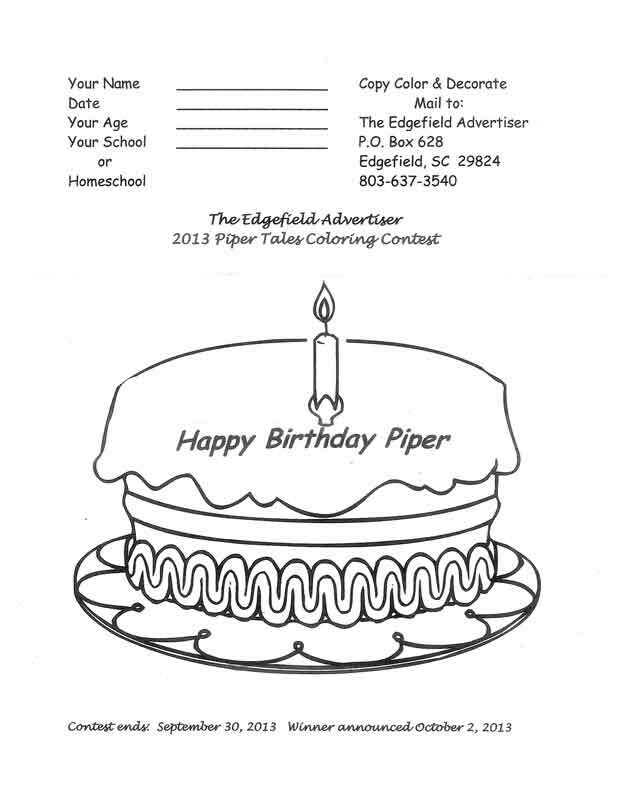 By Edgefield Advertiser on September 10, 2013 Comments Off on Happy Birthday Piper! 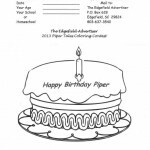 Piper Tales is a weekly serial story about a very lucky black and white dog which can be found each week in the print edition of The Edgefield Advertiser. Subscribe today, so you don’t miss any of Piper’s Adventures. Ed. Note. Last year as school began in the somewhere town of Sandy Clay, South Carolina, two 6th grade boys discovered three abandoned puppies living in a pipe. One of those puppies was black and white and the boy who rescued him named him “Piper”! As The Edgefield Advertiser and author of Piper Tales, Penny Hunt, celebrate a year of bringing you the weekly adventures of Piper and his young master, Bill, it is the perfect time to review the major characters of the stories. Dillon Doskey – Whitman Academy drop-out with a checkered past. The most creative entry will win a gift certificate for a cake made especially for them and have their picture in the newspaper! Hurry! Contest ends September 30th with the winner to be announced October 2, 2013. Entries must include your full name, age, and the school (or home school) you attend.